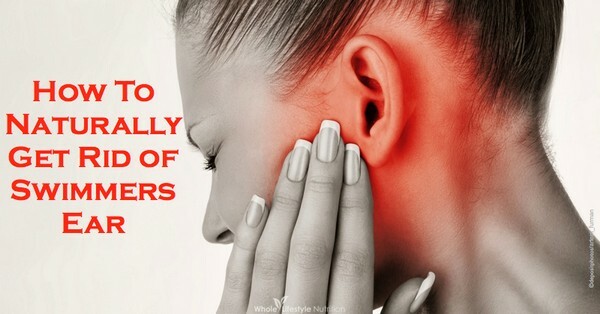 If you are a fish or a turtle, then you probably don’t need a swimmers ear home remedy. However if you live in the pool in the summertime and bathe on a regular basis, then you just might. If you are not doing your best to rid your ears of excess moisture after being around a lot of water, then you will most likely develop swimmers ear. It can be painful, but it is both treatable and even preventable in a lot of situations. Using ear drops after every shower or swim will help to get rid of excess water. The simplest home remedy for that is to mix rubbing alcohol and white vinegar in a 1:1 ratio. Put a few drops in one ear and cover with a cotton ball. You may want to tilt your head or lay on your side to allow the drops to absorb better. After a few minutes, switch sides and repeat. Keep the cotton balls in for a little while. They will help to catch and contain the drainage of earwax. Wearing earplugs while you play in the pool or take a shower will keep excess moisture from getting in to begin with. earwax buildup can occur with frequent earplug use, so be mindful of that. Even without earplugs or ear drops, you can make a good effort to dry out your ears after they have been exposed to extra water. Using your towel to dry the ear thoroughly will keep any more water from running down and into the ear canal. A blow dryer, when used appropriately, can be effective in getting rid of water in the ear. Set it on the lowest possible setting and hold it at least 12 inches (approximately 25 cm) from the ear. The warm air will be able to get into the ear to dry it out but there will not be enough force to damage the ear canal. One more remedy that will help in preventative measures is a homemade type of earplug. It doesn’t work in the pool, but is fine for the shower or bathtub. Coat one side of a cotton ball in petroleum jelly and place in the ear. Don’t push it down into the ear, but rather allow it to sit just barely inside the ear. The petroleum jelly will act as a seal to keep water out. If swimmers ear is a frequent problem for you, you may want to discuss your options with your doctor. You should try a swimmers ear home remedy first, though, and see if it helps lessen the number of times you end up with swimmers ear.